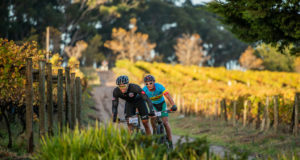 The first event of the Standard Bank Duo Challenge Series takes place this weekend, 21st of May, at the picturesque Banhoek Conservancy near Stellenbosch. Presented by Amoija, this event requires your mountain bike and trail running shoes as weapons of choice. 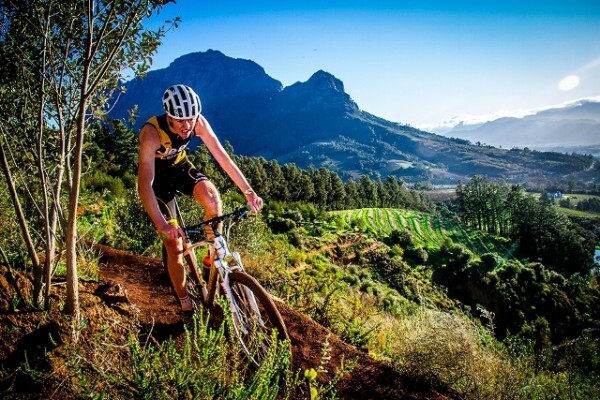 Various race options are on offer: a 20 Km mountain bike race followed by a 10 Km trail run for the brave hearts, and a more forgiving half distance for the weekend warrior. If you want share the fun, enter the Team Relay, long or short duo. Off-road multisport does not get better. For trail runners, there are also two run-only trail races to choose from, a 20Km and 10Km race. A fun walk is also on the program for supporters to get a fair share of the beautiful surroundings. All the courses will take you through exciting, but challenging tracks. The mountain bike leg is known for the exceptional view it presents of the surrounding mountains. 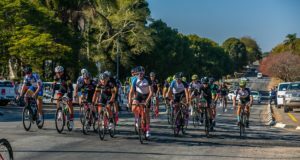 Light patches of rain that are expected during the week will compact the surface for good tyre traction, making the mountain bike leg ideal for secure and fast racing. The run will still demand split-second focus down challenging slopes and off camber sections, with the ever present smell of pine needles. Nature and fresh air cannot be experienced in a better way. For the supporters, Bartinney wines, good food and other pleasantries will make the day even better. There two age group categories, open (18-39) and vets (40 and older), to ensure the competitive spirit stays high. Young and old can chase podiums and walk off with a prize. Make a day of it and bring the whole family for a great outing. Late entries: +R30, if event capacity in not reached. Long Duo & Trail Challenge prizes for Open Class. Vet category 1st, 2nd and 3rd receive novelty gifts. For the lucky draw there is a total of R2500 vouchers from sportmans, loads of wine prizes from Bartinney, Active patch4U vouchers, USN Purefit hampers. Timing: SAS timing chip compulsory for this event @ R50 same chip as all the Amoija / Warrior / Impi / Entry ninja events. Chips can also be rented for R10 on the day. Post Race treatment: EPT will be there with Paid massages R100 for 20min massage + Complex , ice baths, and strapping available at a cost, and also a deep Heat gazebo with 5-10min free massages.